At Tibard you can buy or rent your business’ uniform easily and conveniently with quality and competitive prices guaranteed. Tibard is proud to provide uniforms throughout Derby and Chesterfield from five-star restaurants to independent coffee shops we cater our service to your business. We supply quality uniforms to businesses all around Derby, including rental services and quality commercial laundry services to maintain the professional image for your company. As you’ll see from our website, there’s an incredibly wide range of items currently in stock, available for either small or large orders. Tibard is happy to accommodate your business’s uniform needs for reasonable prices and reliable service. We believe that this level of professional service should be available for every single customer whether they’re a small Derby based caterers or a multi-national chain restaurant. But Tibard is more than just a place to buy uniform. Each week we design, manufacture and embroider thousands of bespoke uniforms specifically made for businesses up and down the country. As the needs of our customers vary, we offer a discount on bulk orders and rental service. 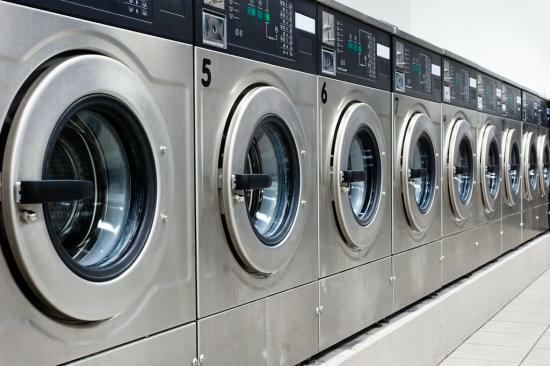 Our laundry services are reliable for large orders and ensure your uniform is freshly cleaned when you need it. This level of care and attention means our customers each week are satisfied with Tibard service. At Tibard we’ve worked with the biggest names with the Derby restaurants and hotels, so we know a thing or two about what’s needed from for each item in a hospitality uniform. Chesterfield and Derby are filled with a lot of thriving businesses therefore smart and professional uniform can elevate the look of business however it’s more than just that, especially for chefs. Workwear needs to be a functional and reliable garment you can rely on during your busiest shifts, that’s why Tibard chef jackets are worn throughout restaurants in Derby and Chesterfield. We offer unbeatable quality at prices you can’t find anywhere else on the internet. A tailored uniform shouldn’t cost the earth, and with Tibard it doesn’t. Simply put your uniform supplier shouldn’t be something you need to worry about and after nearly forty years in the business, we’ve refined and perfected our system, so your uniform is of unmatched quality. With a superior level of service for every one of our clients, choosing Tibard is the obvious choice for uniforms in Derby. Bespoke uniform manufacturing is available at reasonable prices, and we’re happy to accommodate any specific requests should you need them. And should you want to know more about a particular product feel free to give us a call, and we’ll be happy to provide you with more information. Another service we’re incredibly proud to offer is a uniform rental as we know many businesses in Derby fluctuate in staff sizes across the year. Therefore, they may not need the same amount of uniform during certain periods. We’re happy to arrange recurring rental orders as well for specific orders. All of this and more adds up to makes us the nation’s favourite uniform provider.